The cards pour into my mail box. All lovely wishes to have a nice day. Some offering further wishes for the year from this day to be a good one. Milestone birthdays carry such a heaviness unless of course we are moving from our teens to our twenties. Then we cheer, jump for joy and hold our head a bit higher. As the years move on though and we are really viewing life more in the rear view mirror then the road ahead, there is somewhat of an uneasiness about the digit. In actuality it is nothing more then numbers. If one adds the digits together it isn’t quite so bad. I think though it is the regrets that tarnish a higher digit milestone birthday. We wish we could grasps those years lost. Redo the mistakes and maybe walk a little different step then we did. Recognize matters of importance rather then chasing, always chasing life yet never really finding the life we are chasing. It is with age we long to have those times back. To maybe enjoy again as the day to day hours of life take on a different light. Not really grey, or bright. Just different. For those of us who remain healthy and care for ourselves on that realm, we are so fortunate because many may never reach the age to have a mid life crisis time. Or to watch their hair turn silver. It is though, the thought of just how long is left. How many years…days and moments to spend in joy. Is there time to do the things we want to do. To check off those adventures on our bucket list. Will we even be able to do so physically. There are more questions then answers when the milestone birthdays appear. There really isn’t any golden ring to grasp and spin around on the merry go round as we gleefully do in our early adulthood. We can though still ride the merry go round with joy and take what we know to be important and seize the moment. Make each day enjoyable and productive. We can still pursue our dreams albeit maybe smaller and different ones. We can still check off the items on the bucket list perhaps in a different way then originally planned, yet still doing so. The mirror reflects the paths taken. The wisdom gained. The knowledge that life is what it is and we must just go with the flow. That we need to find joy in the smaller things and let the big things fall as those may. We know it is not necessary to try to control the outcome of any given matter. It is with ease we live our life and find that what is important is more what someone says to us, or how they treat us then what we have. It is more about doing the things that are important to us be it writing, painting or a simple stroll on the shore. When a milestone birthday arrives we reflect. We consider where we should be with life. Or more importantly where we want to be with life. What day to day pleasures do we want and how those can be part of our world. We also face that while people are in our lives, we do not have to keep them just because they are there. We learn that friendships, places and things all have a season and sometimes the season is short, sometimes it is long. Sometimes it is a season that just meanders on and on with ease. Of course there are the celebrations which others bring to a person with a milestone birthday. It is in someways places a burden to be what is expected for that celebration. To be ever so joyful when one is feeling nothing more then reflective. Yet the intentions are good and that is important. The message in the cards are kind and supportive. Somewhere with all the overtures we find the courage to continue on with hope and peace determine to make the years ahead better then the years past. I have a necklace created by my artisan friend, Barbara Samuelson owner of Scattered Light Jewelry and Lark. It is a pendant with a part of a rearview mirror crackled and aged framed and attached to the pendant. On the back it reads “look ahead”. I find it an interesting piece and a profound one at the same time. 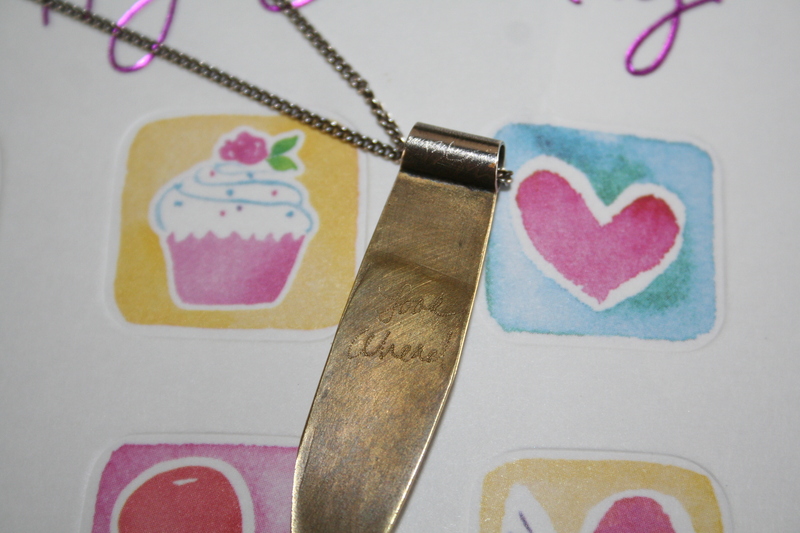 It is a fitting necklace to wear on a milestone birthday because that is just what we should do, Look Ahead. We should look ahead with abandon in our hearts. Music in our souls and fun in our spirit. We should never let the reflection of the past mar our beliefs or our anticipation of the years forward. We must always live for the moment while living the best life we possibly can seize. So it is that today, a milestone birthday, I shall Look Ahead and appreciate the opportunity to reflect on life lived thus far. 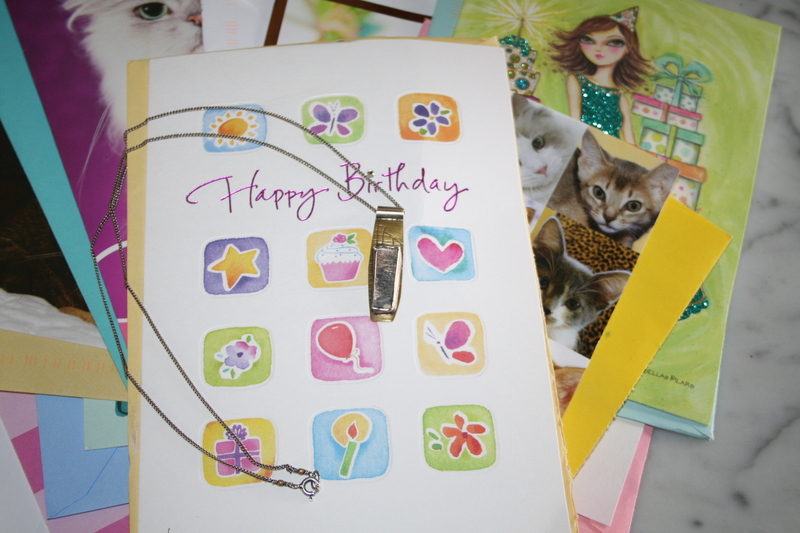 Even though I have had the necklace for some time, the impulse to wear it maybe the best birthday message of all. Actually it is a great message for every day regardless of it being a birthday, milestone one or not, we should always look ahead with promise in our hearts. So I say to you Look Ahead, Look Ahead…always Look at the new path Ahead. This entry was posted in Uncategorized and tagged age, Birthdays, milestone times, moving forward, older, reflections. Bookmark the permalink.